…looking for a brighter day. 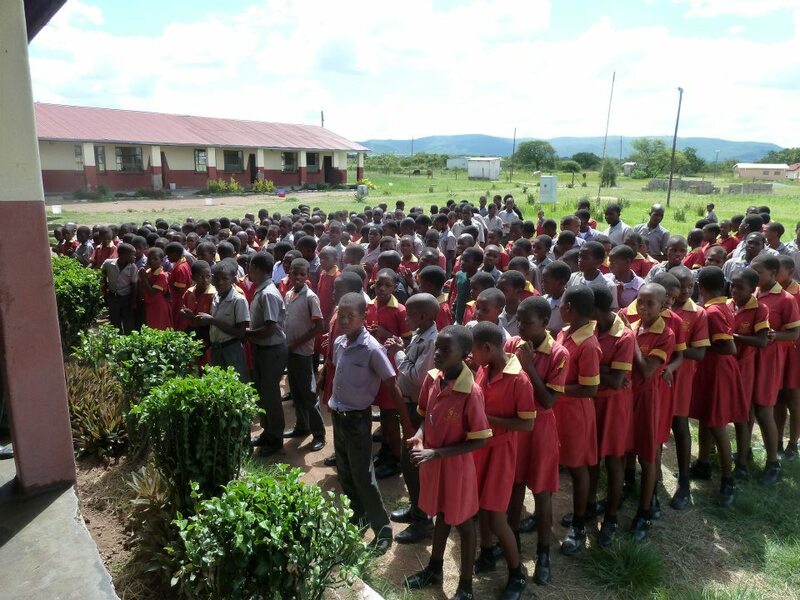 The Esigcaweni Nazarene primary primary school is in rural Swaziland near the southern border with South Africa. 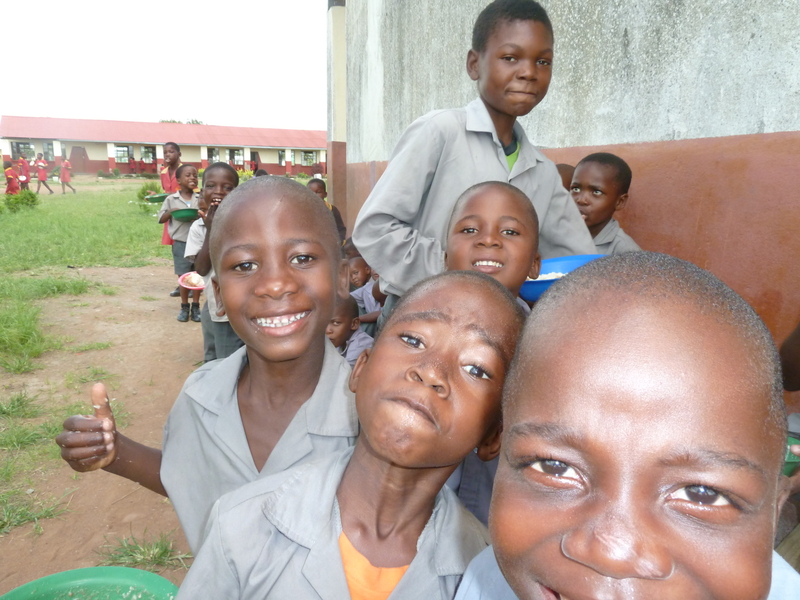 The school educates over 300 children from the Lumbombo region of the country. Swaziland is one of the poorest countries on earth. More than a quarter of the population (26%) are HIV positive, the world’s highest adult prevalence rate and Global Age Watch says life expectancy there is just 49 years, the fifth worse in the world. 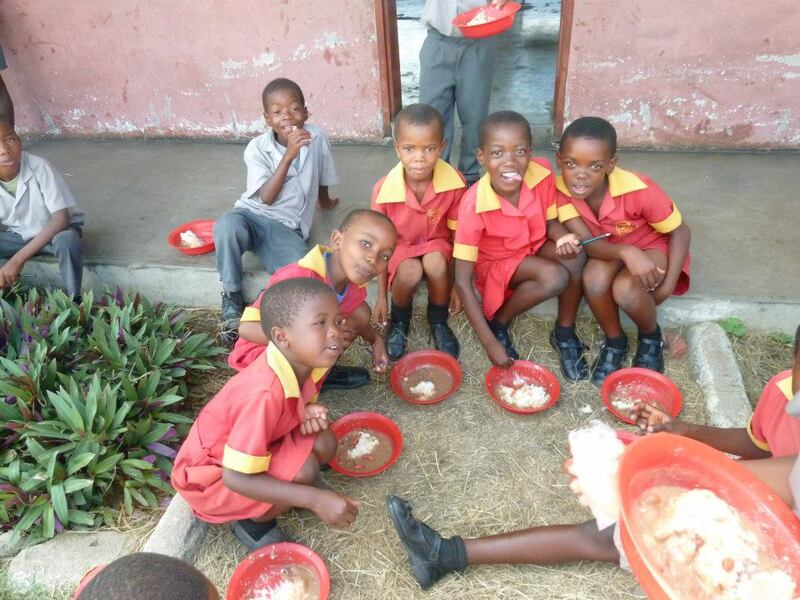 Many of the children who attend the Esigcaweni school have lost either one or both parents to HIV or other illnesses and for many, the meal provided by the school is the only one they will eat all day. The school’s large catchment area means some children walk 6km to get there each morning and yet when we visited, the school was a joyous place with dedicated teachers and pupils desperate to learn. The small band of teachers live on the school grounds throughout the week because it would be too difficult for them to travel to work every day down the single dirt track and hilly terrain. The level of discipline they manage to instil in their young pupils would be the envy of most schools in the UK. My brother, Thando, is deputy head and very kindly let Kerry and I visit in February this year when we went to see the family. My daughter, collected clothes from Pickhurst Junior Academy in Kent, where she works as teacher’s assistant. Virgin Atlantic very kindly agreed to waive the fees so that we were able to take some gifts of clothing from the British school. 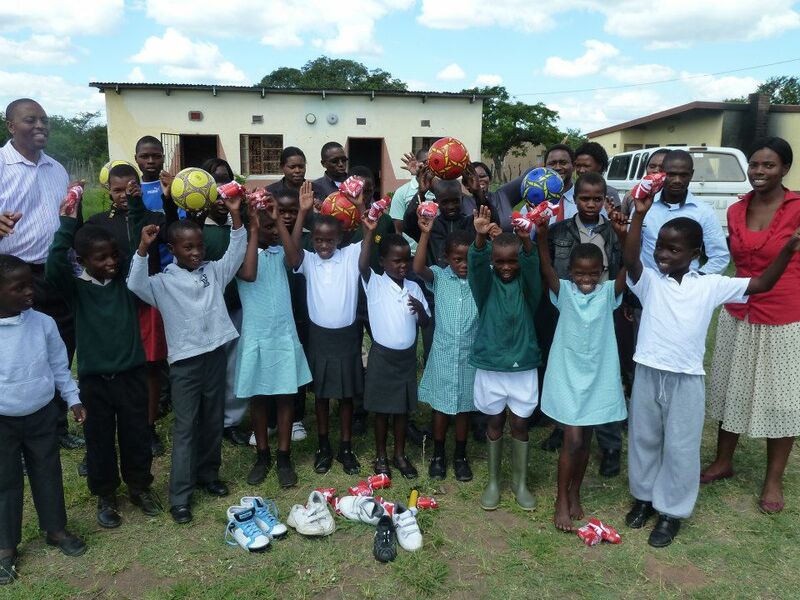 The teachers handed out the clothes to the most vulnerable children and we bought some footballs for the school. Both Kerry and I were concerned about ‘voluntourism’ and its power to make humans seem like victims but being able to touch the lives of some of these wonderful children, even in a very fleeting way, was an amazing privilege. 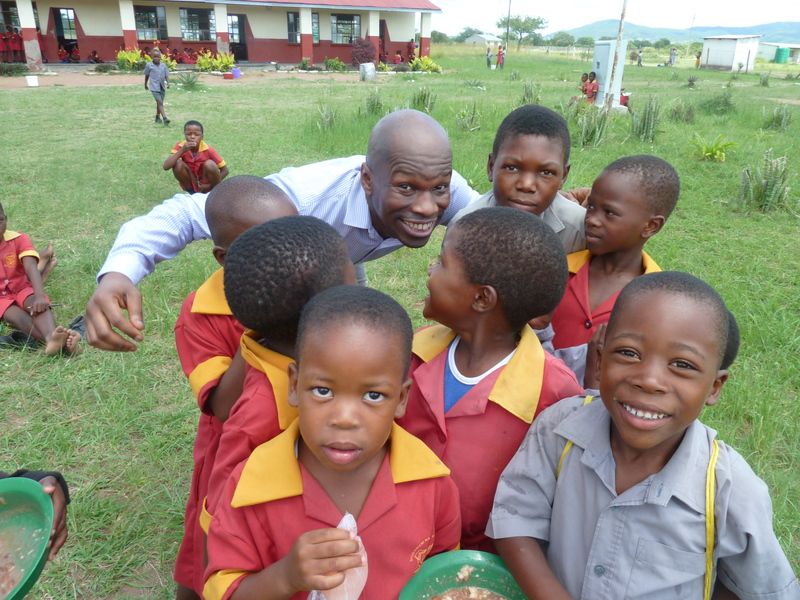 The school’s headmaster Nicodemus Mkhabela, is dedicated to providing for his pupils and the school rear chickens and sell eggs to the local community so that they can provide all children with a nutritious meal. We agreed to try and raise the £2,000 needed to repair the rusting roof of the main school building and are hosting a quiz night on 3 October at George on the Strand. There will be a quiz, a raffle and dancing so if you can make it, you will be most welcome and you will help a wonderful school look after its inspirational children. We’re asking for £10 for each person and we’ll report back about exactly how the money has been used. If you would like to come along, either visit the event’s facebook page or email Kerry to and let her know. Or just check out more pictures of these great kids there here. If you can’t make it but would still like to help, you can donate by hitting the button below. Thanks for reading and please share. This fundraising project is now closed. I will provide an update on the amount raised and what was done with it soon. By mauricemcleod in africa, campaigning, religion on August 12, 2013 .